Mike sits down this hour with the man who thinks so much about energy use and efficiency, he’s been called one of the Top 100 global thinkers. Amory Lovins share his thoughts on our energy future. Amory Lovins is recognized worldwide as a global thinker and one of the most influential energy thinkers in the Western world. He’s advised our government and military on energy policy and has discussed energy use and efficiency with heads of state for 45 years. Now, he’s focused on how we can efficiently use renewable energy and diversify our power sources. 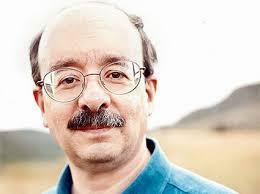 Amory Lovins is here to talk about all of that and more this hour.